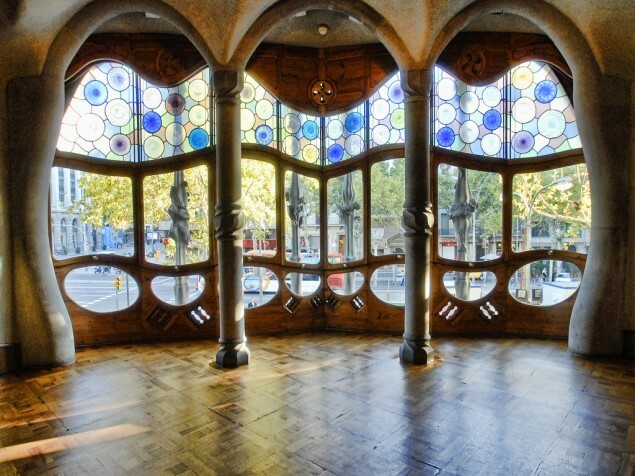 Designed by architect Antoni Gaudí in 1906 as a private home, Casa Batlio is now a museum offering some of the most extraordinary historic event spaces in Europe. 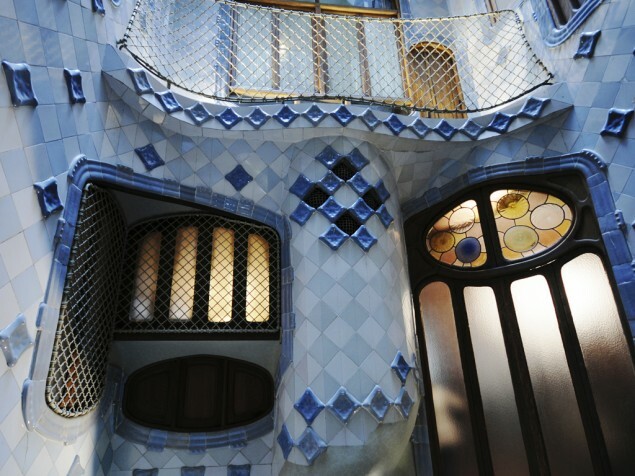 There is just no substitute for the artistry of Spanish architect Antoni Gaudí. 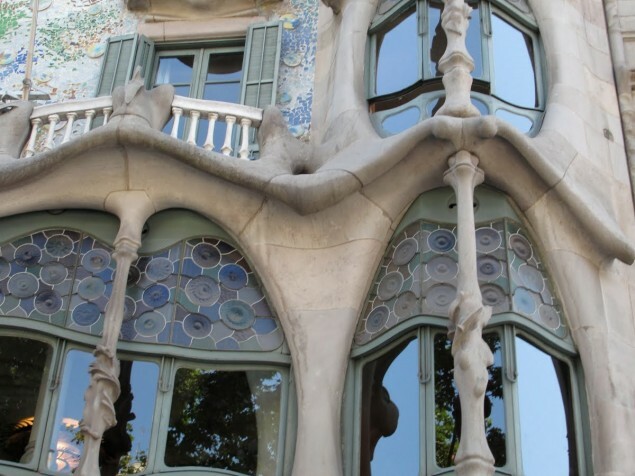 Anyone who visits Barcelona cannot help but be drawn to and inspired by the works of this early 20th century Art Nouveau architect. 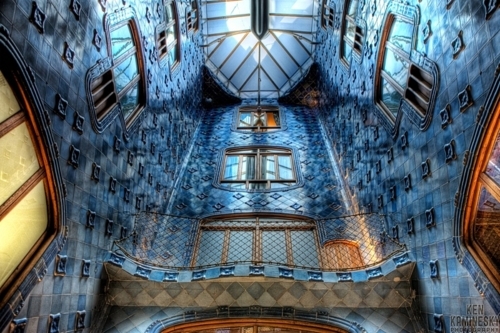 Casa Batlio is one of several museums of Gaudí in Barcelona and one of the most intimate in scale. It was designed as a home for textile merchant Joseph Batlio and built between 1904 and 1906. The building is simply beautiful. 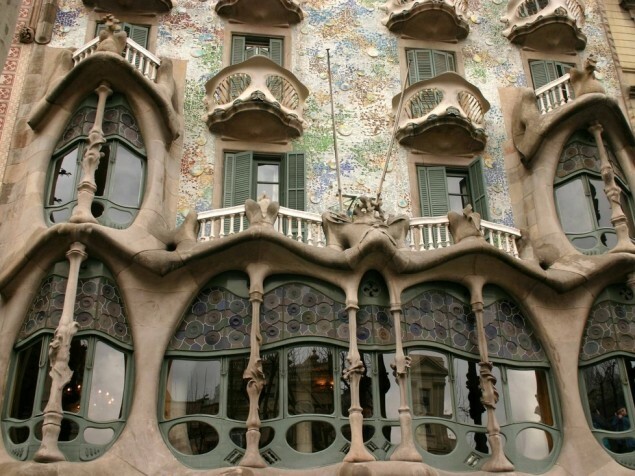 It is dominated by curved walls and spherical and asymmetrical undulating shapes that define floor levels and the roof. Structural elements resembling bones frame and shape the window openings. From the exterior the windows are highlighted with decorative cast iron railings. Large wall sections of carved stone are complemented by intricate mosaics of colored glass and ceramics. Altogether, the appearance is organic, as in a painting or a dream. 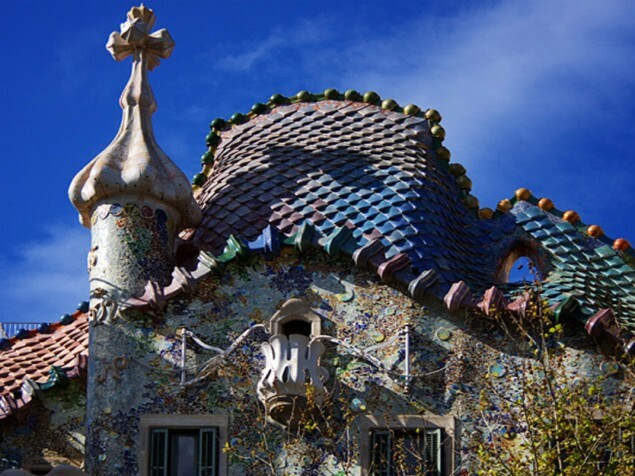 Gaudí expressed his passion for sealife in his use of marine colors and unique forms at the roof level. The exquisite character of the building exterior carries throughout to the interior spaces, with colorful and free-formed walls. The mystical Casa Batlio interiors, and the rooftop, provide colorful and striking backdrops for a business reception or social gathering. Casa Batlio can be rented for exclusive use or by individual featured space(s) within the residence. 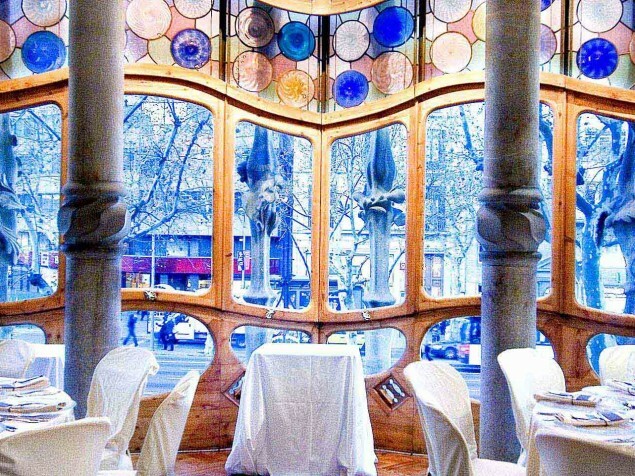 Of the many options available, the Paseo de Gracia, on the first floor (actual second floor), is one of the most unique. Every square inch of this building, both exterior and interior, is a work of art and can be experienced "up close and personal." There is no need to bring decorations, color, or accessories. It is all here. Just arrive and enjoy.